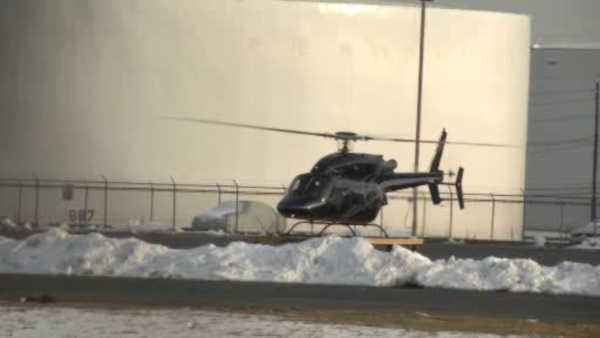 LINDEN, New Jersey (WABC) -- A helicopter that was landing Saturday afternoon crashed onto its side, injuring one person. At 12:40 p.m., the Linden (N.J.) Police Department responded to the crash at Linden Airport. "A Bell B206 helicopter tipped over while doing practice landings at Linden Airport at about 1 p.m. today," said a statement from the Federal Aviation Administration, which also is investigating. There were two people on board. One sustained a leg injury. Flight instruction is offered at the airport, and Linden Police Captain Sarnicki said practice landings at the airport are common.